Nothing turns around a bad day like a walk on a beautiful wooded trail or down a bustling street full of small interactions. I love that my job is to create more of those experiences. So many communities want to provide more opportunities for residents to get around in different ways and I am lucky to work with partners to implement well-designed public infrastructure in service of that goal. 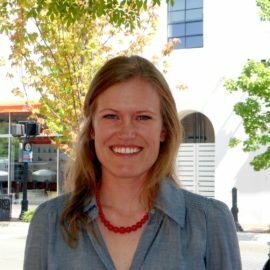 As a transportation engineer and planner, Anne has planned for and designed complete streets and greenway projects throughout the Southeast. Anne’s combined engineering and planning background allow her to design context-based facilities that are cost-effective while supporting vibrant and active communities. Her experience includes bicycle and pedestrian master planning, open space and greenway planning, concept and preliminary design, traffic analysis, and the development of construction documents for greenways and roadways. Anne has a B.S. in Civil Engineering from Leigh University and a Master’s in City and Regional Planning from the University of North Carolina at Chapel Hill.